Lilly Truitt (Scout), Steve Perry (Atticus), Justin Truitt (Jem) and Xander Proseus (Dill) at a recent practice. 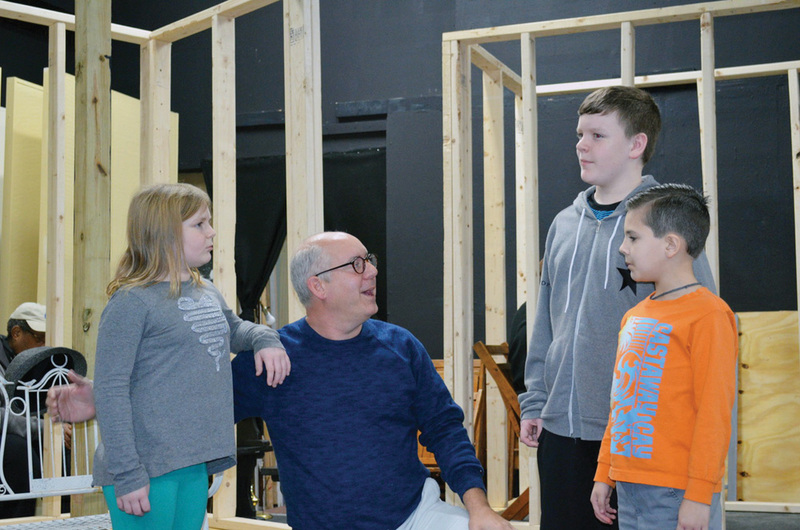 Directors Diane Counts, Tammy Crawford and Steven Dow are bringing the classic story to the Milford High School stage with a cast of actors from across the Delmarva Peninsula. Due to renovations at the Riverfront Theater, all performances will be held at Milford High School, 1019 N Walnut Street, Milford. Tickets cost $17 and can be purchased at brownpapertickets.com or by calling the box office at 1-800-838-3006. For more information, visit secondstreetplayers.com.